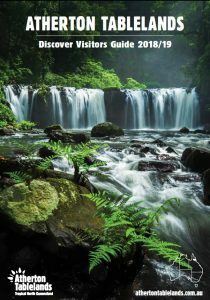 Kids from toddlers to teens will have double the fun at The Crystal Caves this school holidays with a new creative centre set up in the Atherton Tablelands attraction. The Caves, already offering families a fascinating expedition into the underworld of minerology and semi-precious gems, now has an activity centre especially for children including free wifi, gemstone fossicking and jewellery making. The kids area was created to add something extra special to a visit to The Crystal Caves for children during school holidays. 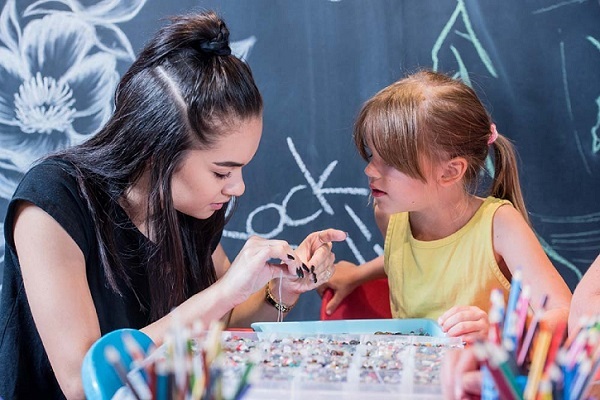 The new area has a craft centre with colouring in materials, blackboard and a craft desk, where youngsters can make bracelets out of natural gemstones for a small charge. A ‘scratch patch’ sand box will enable mini miners to fossick around for crystals and gems to take home, for a small charge. For the older kids, there’s a hangout corner with free wifi and a comfy couch to sit back, relax and watch films about gemstones. The new children’s space will teach youngsters about minerals and gemstones in the most enjoyable way possible – by making it fun. “The whole idea of introducing this new area is to enhance the overall experience for families – to educate and entertain with a more interactive, touch and learn environment,” said Ghislaine Gallo, manager of The Crystal Caves. The new creative centre is now open in time Easter holiday fun.